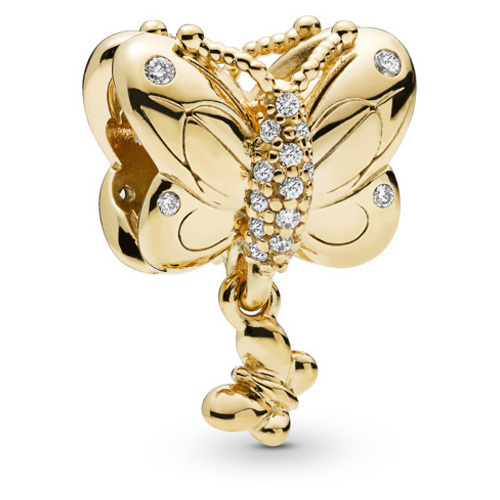 Add a dramatic dose of nature to your look with this radiant Pandora Shine ™ charm. 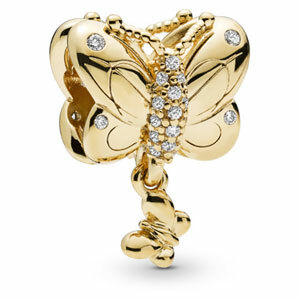 The 18k gold-plated design is detailed with decorative wing lines, a glittering body and a dangling friend. Let it take flight on a bracelet or necklace.